Virtual reality is going through some growing pains. Headsets like the Oculus Go and Quest are making it more consumer-friendly, but augmented reality is on the horizon and some VR stalwarts, like Jaunt, are shifting resources over to AR. That's not happening at YouTube, which is doubling down on VR today with a number of announcements. The first is that YouTube VR is now available for Oculus Go in the Oculus Store, which means you can officially watch YouTube on all Oculus headsets. The app was first announced at Oculus Connect, but there was no release date given at the time. 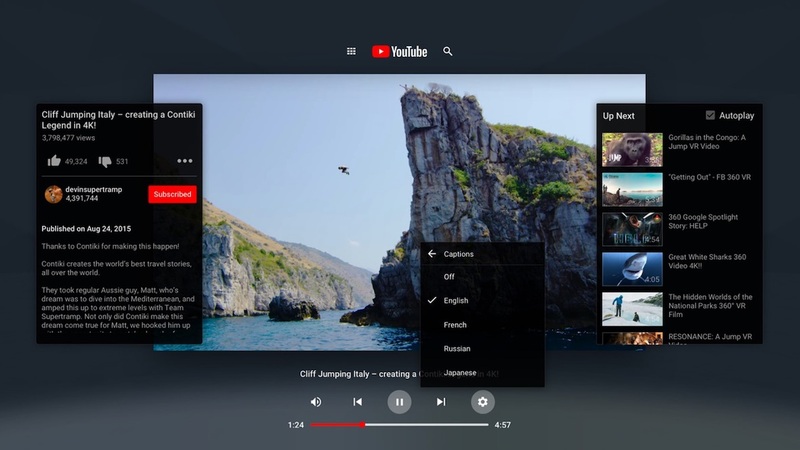 YouTube is also pushing forward on its new 180-degree video format, updating its VR180 Creator tool with Windows support so that more filmmakers can use the format to make 180-degree videos. The reasoning behind 180-degree VR video is that Google discovered most people don't look at everything in a 360-degree video. When people are watching a 360-degree video, they often sit and stare in one direction and don't look behind them, which means that half of the video is essentially wasted. Plus, it's notoriously difficult for VR filmmakers to create 360 video. 180-degree video is both better utilized by VR fans and easier for filmmakers. Finally, YouTube is adding support for headlocked audio. While spatial audio that changes depending on where you look is great, it can be a poor experience for things like VR documentaries. If you're in a VR doc and you're looking the wrong way, that sometimes means you don't hear the narrator as well. Or the background music takes a dip in volume. Headlocked audio keeps the audio the same no matter where you look, so that you're always able to listen to the background music or narrator. These are a number of smaller updates, but they're building up toward a better VR experience on YouTube, which has quickly become one of the simplest ways to watch VR videos. Especially in a climate where some, like Jaunt, are turning away from VR videos altogether.